The o-rings and sealing disk are molded from a 70 durometer ethylene propylene diene monomer (EPDM) rubber compound that is fully compatible with automobile brake fluid. 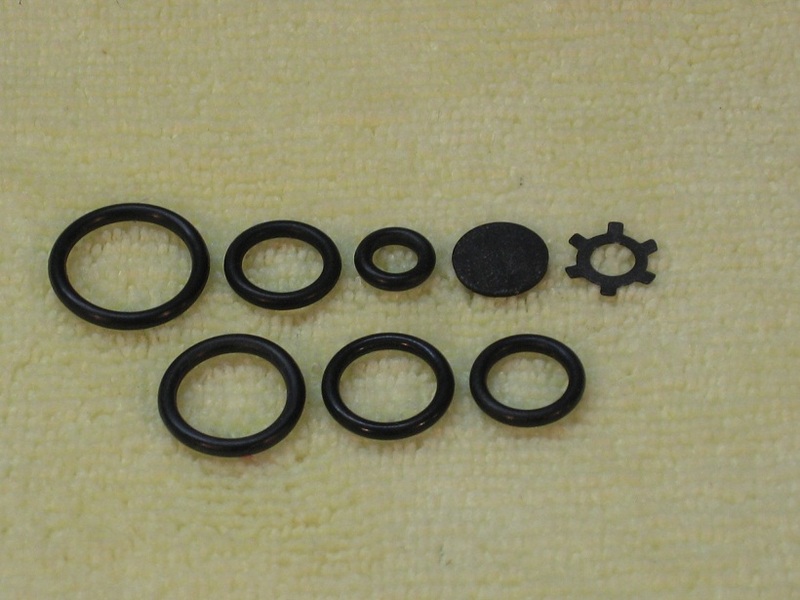 The disk retaining ring is made of steel with a black oxide finish. All of the parts are proudly made right here in the USA! Interestingly, Ford used the same valve on 1974 F250 pickup trucks. This kit can also be used to rebuild the D4TA-2B328-A1A valve found on those trucks. Complete rebuild instructions are available from the Muscle Car Research web site. Dealer inquiries are welcome - please contact us for pricing.